The good news if you suffer from this is that there are many natural ways to treat panic attacks. 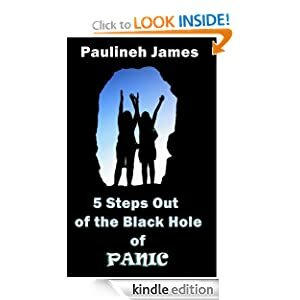 In this section we will discuss what you can learn about the causes, symptoms and treatments for how to stop panic attacks naturally. A panic attack is when a person has an episode of extreme terror accompanied by physical symptoms such as a racing heart, sweating and trembling, dizziness, and constriction of the chest amongst others. Anyone who has suffered from this problem knows just how debilitating it can be. 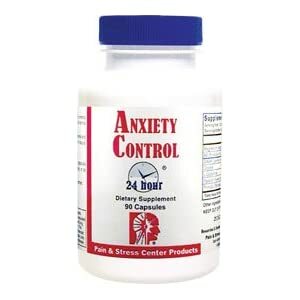 There are many different types of treatment for panic disorder, so you are sure to find something that works. Even if it takes a while of trying different things, that is better than doing nothing about it. A panic attack is state of extreme anxiety and fear that strikes suddenly and lasts for around ten minutes to half an hour. After that, there are many negative feelings that can take two or more hours to abate. Panic attacks are not just feeling anxious; they can be extremely debilitating both emotionally and physically because they are accompanied by several unpleasant physical symptoms. Sufferers may even think they are having a heart attack. These symptoms may include dizziness, a racing heart, breathing difficulties, chest pains, a feeling of being disassociated from reality, numbness or tingling in the hands, feeling chilled or too hot and trembling. Worse still there are emotional symptoms such as a feeling of extreme fear or terror that something dreadful is about to happen and helplessness in preventing it. 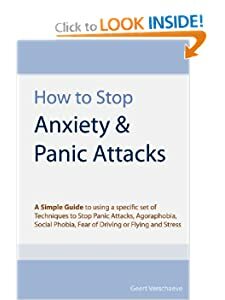 The person who is suffering from a panic attack may also feel nervous that they are about to do something embarrassing and they may also strongly feel that they are about to die. It is no wonder that people who have suffered in this way once fear having another attack. The trouble is that this often does happen, which is one reason why panic attacks can severely impact your life. Once a person has had several panic attacks for no apparent reason they are said to have the condition called panic disorder. Panic attacks are not usually related to any specific fearful event, although they can be. 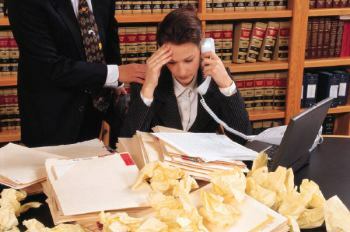 Often a person who has been under stress for a long time will develop panic attacks unexpectedly. This can lead to trying to avoid the type of situation they were in when it occurred as a preventative measure. For instance, if they were in a crowded shopping centre when they had a panic attack they will avoid going there again. Often they tend to shut themselves in their home in an effort to prevent further attacks. When this happens they are said to have panic disorder with agoraphobia. This may all sound like bad news, but sufferers can be treated and the disorder can be managed. Help should be sought from a health care professional before the problem becomes too well established. But even if you have been suffering from panic attacks for ages it is not too late to do something about it. You can and should take steps to get your life back so that you can enjoy it once again. A panic attack is not just feeling anxious about something; it is much worse than that. The symptoms of a panic attack can be quite devastating, as anyone who has suffered from one can tell you. Your stomach feels like it is tied in knots, you shake and tremble uncontrollably and there is such a constriction in your chest that you feel like you just cannot draw a breath. In short, you feel like you are having a heart attack from which you may never recover. Even after those awful symptoms finally go away you still take a long time to fully recover from the effects of them. In fact, it is like as if something really bad happened to you physically. Those who have never suffered from such a trauma as a panic attack will never quite understand just how bad it can be. There are many more symptoms than those mentioned above. * Sufferers may have a feeling of absolute terror that something bad is going to happen to them. They feel helpless about stopping this event. * You may feel chilled or hot and sweaty – or even cold and clammy. * Hyperventilation is a common symptom of a panic attack. * You have a racing heart, or heart palpitations. * Your hands may feel numb or tingling. * There may be a feeling that reality is distorted – almost as if you are in a dream. * Your stomach may feel upset or nauseous. * Dizziness is a common symptom. When people have frequent bouts of panic attacks they are said to suffer from panic disorder. Often the malady is accompanied by agoraphobia, the fear of going out, usually because the attacks happen when they are outside of their home. Strangely enough, panic attacks can even happen when you are asleep and these are referred to as nocturnal panic attacks. People who have such attacks during the night hours will often have more respiratory symptoms than daytime sufferers; they also suffer more from depression. Such attacks usually last for a shorter length of time than daytime attacks, but it may take longer to calm down. Teenagers who suffer symptoms of a panic attack are more likely to feel that they are in a dreamlike state and are often afraid that they are either going crazy or dying. It is important to seek treatment for this distressing malady as it can be treated and managed quite successfully. In many cases there seems to be no apparent reason for having panic attacks, but they can be caused by a variety of reasons, both physical and emotional. * Chronic or ongoing stress that cause the body to produce large amounts of adrenaline. * A traumatic event that causes a flight or fight response in the body – also causing large amounts of adrenaline and other chemicals to be produced. * Habitual hyperventilation can cause panic attacks as it disturbs the balance of chemicals in the blood, with not enough carbon dioxide. * Extreme physical exercise can actually cause such an attack in some individuals. * Strong stimulants such as excessive amounts of caffeine. * Illness that causes physical changes in the body. Hyperthyroidism or asthma are two good examples of illness that can cause panic attacks. * Sudden change of environment e.g. going into a crowded, stuffy mall from outdoors. * Certain drugs and medications. Strangely enough, some tranquilisers can cause people to have such attacks. 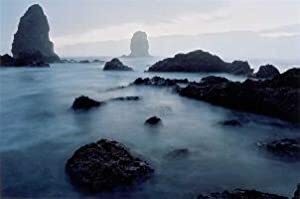 * Once an attack has occurred, another one may well happen when the person goes to the same kind of place where the first one happened. * If you have had a car accident you can easily have a panic attack the next time you get into a car. Panic attacks can range from mild to severe and should always be treated. 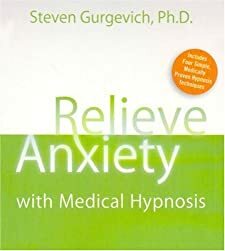 Mild attacks can be treated by using a range of techniques from calming herbal tea to learning yoga to reduce your stress – even reading books about stress reduction techniques may help you. Severe attacks may well need professional intervention from health care specialists. If you know that your panic attacks are caused by a traumatic event then getting professional counselling for the event may help you to reduce them. The main thing to remember if you are a sufferer is to seek treatment rather than allowing this disorder to ruin your life. Getting support from family and friends is also important. The decision to do something about your problem is the first step to conquering it. Every sufferer of panic attacks will know just how awful they can be. You may wake up in the morning and get that sinking feeling in your stomach that may herald such an attack. The trouble is, even if it does not, you are so worried at the thought of having one that you cannot enjoy your life. 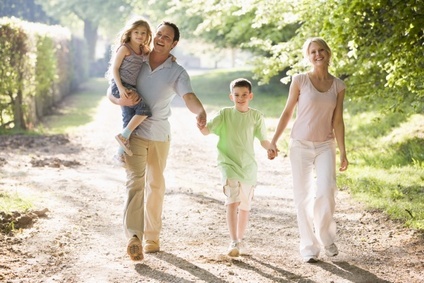 Here are some of the treatments that may give you relief from this debilitating disorder. * Mild panic attacks may well respond to alternative therapies that are aimed at reducing stress and keeping you calm. 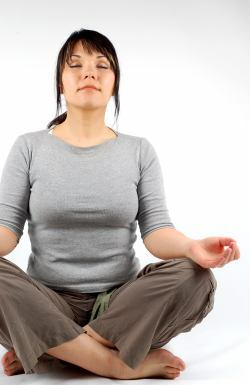 Things such as meditation, yoga, aerobic exercise or tai chi may all be helpful. 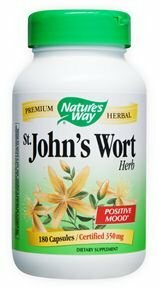 * Calming herbal teas or herbal supplements to relieve anxiety can be given a try. If they don’t work at least they will not harm you. Make sure you use good quality ones as the quality may not be regulated. * Acupressure or acupuncture may be found to have a helpful effect. * Counselling should be undertaken if the attacks are caused by a traumatic event such as a car accident or violent behaviour. * Cognitive behavioural therapy is recognised as a good treatment for more severe panic attacks. It includes a wide range of treatment from gradually exposing the patient to situations that may trigger the attacks to training in how to handle the emotional symptoms that come with an attack. It even includes learning relaxation techniques. This type of treatment is also referred to as psychotherapy. 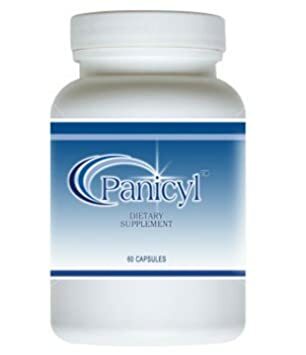 * Special medication can be prescribed by your health care professional and often this is taken in conjunction with other treatment for the best effect. Some of the medications include sertraline, paroxetine, duloxetine and others. Tricyclic antidepressants are now used much less than they were because better drugs have been found. It is important to be closely monitored by your doctor when taking any drugs. 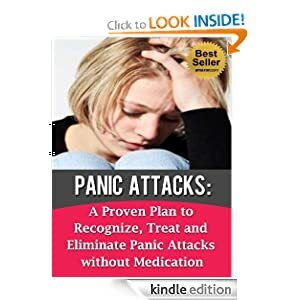 Often the doctor will use both medication and other forms of therapy in treating panic attacks especially when they have progressed to panic disorder. That is, the sufferer experiences severe panic attacks on a regular basis. It is always best to be guided by your professional health care expert when seeking treatment, and soon you will see a good result. If you have suffered from panic attacks or have been diagnosed with panic disorder it is wise to be guided by the doctor as far as treatment is concerned. However, many people also like to treat themselves as well and doing so gives you a feeling of control over your life that is an important part of recovery in itself. Here are four tips for self-help. 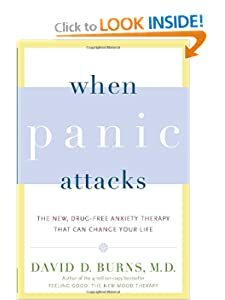 * Learn all you can about panic and anxiety attacks by reading books about it. Understand what happens in your body when that flight or fight response is triggered. You will soon find out that you are not going crazy and that all those weird sensations that you experience during an attack are normal for that situation and that they will pass without harming you. * Avoid smoking and caffeine, both of which can actually trigger attacks in susceptible people. Green tea that is now touted as a health benefit contains very high levels of caffeine. Some non-drowsy cold medications and even diet pills also contain stimulants that can be triggers. * Another self help tip for panic disorder is to learn how to control your breathing. During panic attacks you often hyperventilate and this can cause many unpleasant symptoms such as tightness in the chest and being lightheaded. This is a coping skill that is easy to learn and will help to prevent some of those scary symptoms. * Learn relaxation techniques such as meditation, yoga, or any other form of relaxation that will help your muscles to relax. This will strengthen your body’s relaxation response – the opposite effect of what happens in a panic attack. They make you feel calm and happy during those times between attacks so you will become less fearful. * Another self help tip for panic disorder is to fill your mind with nice things and keep yourself busy doing the kinds of things you love. Taking up a therapeutic activity such as painting or knitting is often a good help. Anyone who has suffered from one or more such attacks will spend a lot of time dreading the possibility of another one and will go out of their way to avoid situations or anything else they think might be a trigger. 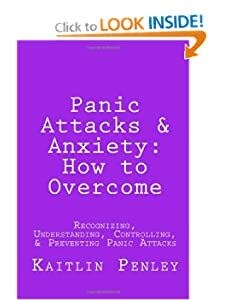 A lot of times, not knowing how to stop panic attacks is the result of a lack of knowledge or understanding about anxiety and panic triggers. There is a lot of power and relief that comes from learning about the self help ways you can handle panic. You’ll be surprised about how much a little research can help you with natural ways to treat panic attacks. There is a lot to learn about the natural ways to treat panic attacks, and much of your research can be done online. You can also buy very helpful resources online and have them conveniently delivered to your home or workplace. 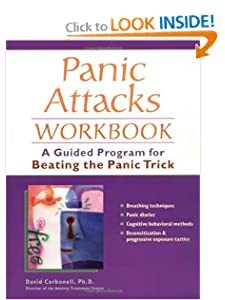 Below here I'm featuring more pages with helpful how-to-do-it tips on natural ways to treat panic attacks. 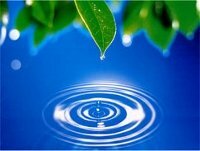 Back to HOME PAGE of this natural ways to treat panic attacks section of the site.